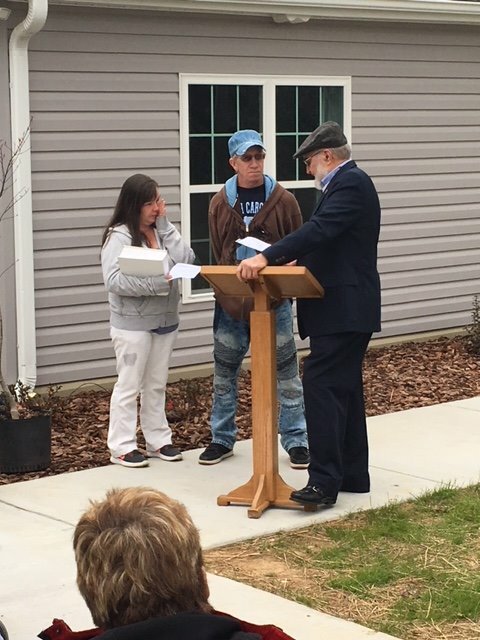 The driveway of a newly-completed Habitat house was filled with people on a Saturday in February 2018, as the Person County Habitat for Humanity held a dedication for the Nachtigall family – the recipients of the organization’s latest project. Person County Habitat’s Executive Director, Daniel Collins, talks to the crowd in front of the Nachtigall’s new home. That was June 2015. For the next two years, the family lived with Melissa’s father and brother while they picked out floor plans and designed the specialized house. 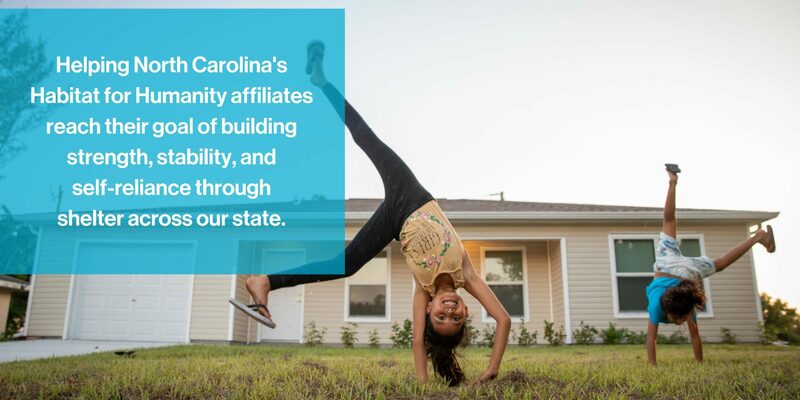 Three hundred hours of “sweat equity” – work that recipients must do to receive a Habitat house, such as helping build another house or working at the organization’s yard sales – and several Habitat classes later, Jerry says, they had finally finished construction. Not only was the house a family project for the Nachtigalls, it was also a community effort that included volunteer labor, monetary contributions, and donations of building supplies from various local businesses, organizations, and individuals. After an opening prayer and a welcome from PCHFH President David Forsythe and PCHFH Director Daniel Collins, respectively, Roxboro Mayor Merilyn Newell shared a few words and then turned the microphone over to representatives from three organizations that provided support. Former PCHFH board member Graydon Spivey then presented the Nachtigalls with a family Bible, and Collins led the attendees in a house blessing. He likened the house to a sermon that teaches the community what love really is, quoting a Bible passage from 1 John that says, “Dear children, let us not love with words and speech, but with actions and in truth.” He then read the poem “A House Becomes a Home,” written by Kathryn Decker, and reflected on its meaning.